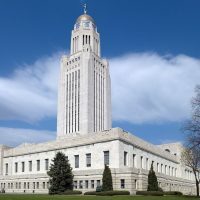 The flooding that devastated huge swaths of Nebraska may put a dent in the state budget and force the postponement of other expenses, but officials said the recovery costs should be manageable. Lawmakers are bracing for a likely wave of state agency budget requests in the next fiscal year as the state government’s share of the disaster recovery costs become clearer. “It became a priority, obviously,” he said. “Other things that we might have done were left out of the budget.” For instance, Stinner said lawmakers may postpone some funding increases to the state Department of Health and Human Services that aren’t immediately needed. He said the Appropriations Committee is proposing an $11 million boost to the state’s disaster response fund over the next two years to replenish money that was used to help local communities hit by flooding.